The first monthly winner of the Best of Instagram by SanDisk category has been selected by the community. Check out what Dasha Nosova tells us about her shot and what it means to be the first of the 55 Finalist Images of the Red Bull Illume Image Quest! 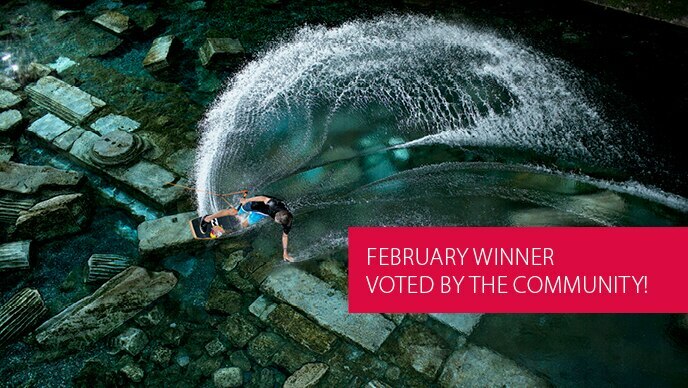 March submissions for Best of Instagram by SanDisk start now! The first month of Best of Instagram by SanDisk is over - but there are still four more months to come! Submissions for March are open NOW! Submit your most gram-worthy adventure and action sports images on Instagram by tagging @redbullillume and #rbi19submission! You've got a great image that does not fit into the Best of Instagram by SanDisk category? No problem - the submission phase for the main contest starts in May with ten further categories. Find the right category for your image!